By contrast to books, there are sometimes signs. These, arising out of larger life rhythms, are more indicative of the greater picture, the cultural vibration as contrasted to the individual. Since our emotional upsets are much more the product of interaction with others than they are personal ambiguities we are better advised to seek guidance from the signs all around us than simply consulting our own wisdom. 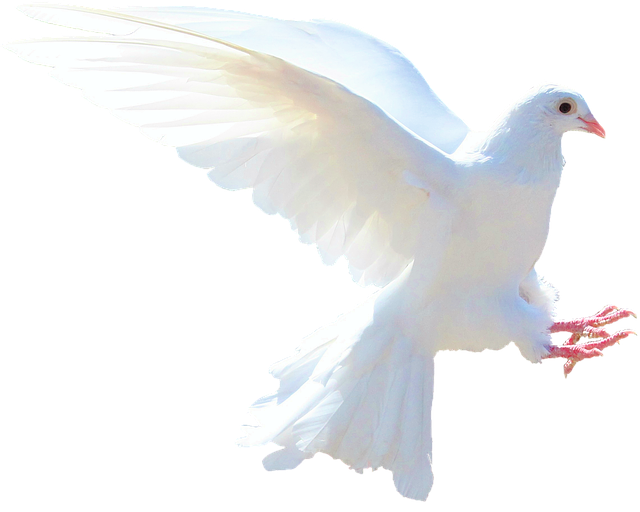 In Sufism, the white dove is symbolic of Holy Spirit. There is a part of us, deep and abiding, that resonates with this image. It is this part of us that can be identified as the Guide. If we find an external version of this feeling, then we are directed towards a person for instruction, otherwise we are drawn to stimulate this sense of perfection on a deeper more personal inner level through situations, people and ideas. Two contradictory core beliefs exist within the minds of people. Some see danger and scarcity, fear predators, and expect trouble. Others trust that there is always a way out, a choice to rise above it all and enjoy. On a very practical level, the positive attitude is safer, in fact, safe – and yet some of us need to be guided towards this belief. The default condition in life, freely given and ever available, is the understanding of this wisdom. We would actually have to do work, and creatively insist on pessimism, in order to attract bad luck. In other words, relaxing is a very positive life strategy. An unencumbered mind is creative, effective and optimistic – but it can produce some very unpleasant circumstances if it is allowed to gather dirt and dust around itself, by habitual thinking, woolly or detrimental thoughts. Mind is by nature flighty and easily seduced; it needs to be shaped and strengthened through guidance. When we have clear reasons, well-defined purposes, and meaningful thinking processes, then we become skilful in reconciling our difficulties in life. We are born of spirit. As a direct result of this, we have an indwelling orientation towards the re-enactment of divine heritage. The heart knows how to pull us towards the essential pole of our sacred centre. The beauty is that this all happens whether we want it to or not – automatically. As long as we do not actively steer away from it, we will always be somehow guided towards the true and deep centre of our sacred self.